Every year thousands of people are victims of online identity theft, and protecting your small business against this is crucial. Business owners need to set in place a number of safeguards to make sure that confidential corporate data cannot be accessed. Online shopping businesses must also make sure that customer information is protected and cannot be accessed by a third party. Online business identity theft or fraud is similar to personal theft, but the theft usually happens on a grander scale. A third party will obtain confidential business information such as bank details, personal information and credit cards. They will then be able to act as an authorised member of staff and obtain goods online or steal money from a company’s account. Online identity theft is a huge criminal business in the UK and businesses cannot afford to underestimate this growing problem. 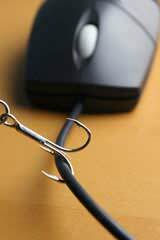 Phishing attacks to company emails designed to gain access to company details such as bank account numbers. Obtaining company details such as bank and credit card statement, and headed paper from waste bins. Obtaining a website domain name similar to businesses in order to catch some of their online traffic and mail. Pretending to actually be an employee such as a cleaner in order to gain access to company documents. Bribing employees for passwords and other confidential details. Hacking into company websites to gain details and sending viruses. Accessing company data by using wireless hotspots with open networks where business users work with laptops. These are just a few of the common methods that criminals will use to infiltrate companies and gain access to confidential information. Businesses that hold details of customer’s credit cards and addresses will be specifically targeted by online criminals. There are numerous spyware and anti virus software packages available specifically designed to protect computers from attacks. Businesses that take customer payments online should use encryption software to protect credit card and bank account numbers. Businesses should always have firewalls in place to stop third parties from gaining access to a business network. Password protection for all computers is vital, and passwords should never be stored on paper. Passwords should also be of a high strength using a combination of letters and numbers. Never give any bank account details in emails. Emails from banks or other financial institutions asking for bank details should be forwarded to the businesses own bank. Banks will never ask for this sort of confidential information by email. All confidential company information including bank statements, credit card statements and company records should not be thrown out. If any confidential information does need to be thrown away it should be shredded first. Obtaining personal information from waste bins is one of the major methods of identity theft. Old computers that have company information on them should always have hard drives completely erased before discarding them. Wireless hotspots and internet cafes are notorious hangouts for online identity fraudsters. The wireless networks are left deliberately open for public access in public hotspot areas. Confidential business information should not usually be accessed in public wireless hotspot areas, especially bank details or customer records. Similarly, users should be very careful who is watching when inputting passwords in public internet areas. Identity theft prevention does take common sense and a good online security system. Beating identity theft should be a high priority within any business, especially for the IT support staff. It makes more sense to pay for a of the range online security system than to be left with the headaches and financial loss that identity theft can bring.